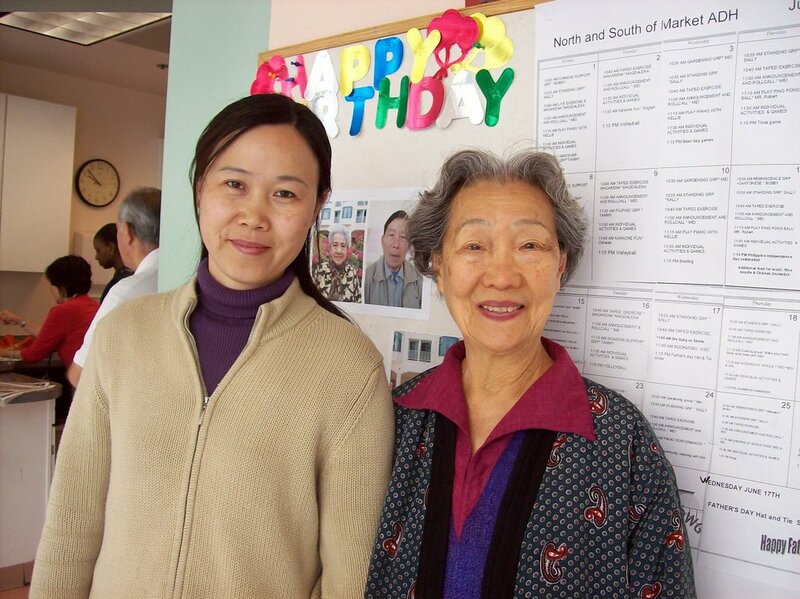 Your support can help us serve San Francisco’s most vulnerable elders and disabled adults. SteppingStone, like all Adult Day Health Centers in California, is under significant financial strain. Medi-Cal’s reimbursement rate has been static for 10 years meaning we receive $76 per client per day while the actual cost is $126. We fill this gap with other contracts and grants as well as the generous support of many individuals like you. SteppingStone is a 501c3 charity and donations are tax deductible to the extent allowed by law. All contributions, of any size, are deeply appreciated and will be used to enhance our care for frail elders and disabled adults. SteppingStone is an innovative and cost-effective program so your support will have real impact on the people we serve. You can donate right now using the Donate Link below. If you would like mail a check simply make it to SteppingStone and mail to us at: Steppingstone, 930 Fourth Street, SF, CA 94158. You can also donate an automobile using the Car Donation Link below. For stock donations or planned giving requests, please email Paul Boneberg, Director of Development, at paulboneberg@steppingstonehealth.org or call 415.974-6784 ext. 21. Join our diverse community as a volunteer. Teach a class, participate in activities, share your professional skills, or sponsor an event. You have talent; we have a place for you! Pass on your passion and view our Volunteer Opportunities. Enrich the Lives of Seniors in San Francisco by joining our team! SteppingStone Adult Day Health is San Francisco's largest provider of Adult Day Health Care. Each of the organization's four centers provides an array of services, including nursing and personal care; medical social work services; meals and nutritional services; medication management; physical, occupational, and speech therapies; and social and recreational activities; as well as round trip transportation. Presently, SteppingStone serves over 300 ethnically diverse seniors and adults with disabilities each month. For our all our 20 hours a week or more regular scheduled positions, we offer a comprehensive benefits package which includes employer-paid medical, dental, and life insurance; a 403(b) plan and vacation and sick leave.